The system supports to declare unlimited tree organizational charts, statistics, display the correct organizational structure according to the valid time. Save the detailed system data with over 40 types of employee information throughout the work process. Fast search, retrieve 100% of the information stored in the entire employee profiles through data analysis to create statistical reports as desired. Manage reward and discipline information from employees to departments according to the regulations of the Enterprise or the Law on Emulation and Reward. Automatically settle all employee-related liabilities, track the process of handing and settling welfare according to reality. Set up flexible leave policy (number of standard dates, advanced annual leave policy, paid leave expansion policy, unused paid leave maintenance policy, etc.) depending on different types of employee: Vietnamese, Foreigner, Type of Labor, Employee level... depending on the policy of the enterprise as well. Automatically calculate the employee's annual leave eligibility based on the user-defined permissible formula and manage the leave process, update the employee's paid leave eligibility from time to time. The system establishes a list of projects and reports on the project, and statistics on the consumption of resources implemented by the project. Support employee evaluation under the project implementation. Support employee to report quickly other non-project tasks according to assigned tasks, help the head of the division to track and assign the work properly. The diversified timekeeping report system provides the exact timekeeping information to users in salary calculation. Support for insurance additional adjustments, arrears collection and automatically calculate leave insurance policies. Manage the process of joining other types of insurance if the company has a welfare policy for human member in addition to compulsory insurance. Assist enterprises to adjust and develop reasonable insurance policies for each employee on each stage. The reporting system is developed in accordance with the law and updated continuously when changes occur. Salary-Bonus-Other welfare policy system of LV SureHCS for C & B is diversely and flexibly designed to optimize payroll – bonus policies and insurance policies – personal income tax according to the standards and definitions of each enterprise, helping payment procedure to be done correctly, quickly and efficiently. Set custom parameters, define the elements, calculate the salary- bonus-allowance with any formula according to the enterprise regulations with the payroll group and flexible incentive policy unlimitedly applied from time to time. Superior intelligence advantage when applying multi-currency salary for each employee, multi-currency for each income in the salary structure of each employee. Flexible payment by advancing, transferring through one or more accounts, paying with cash. 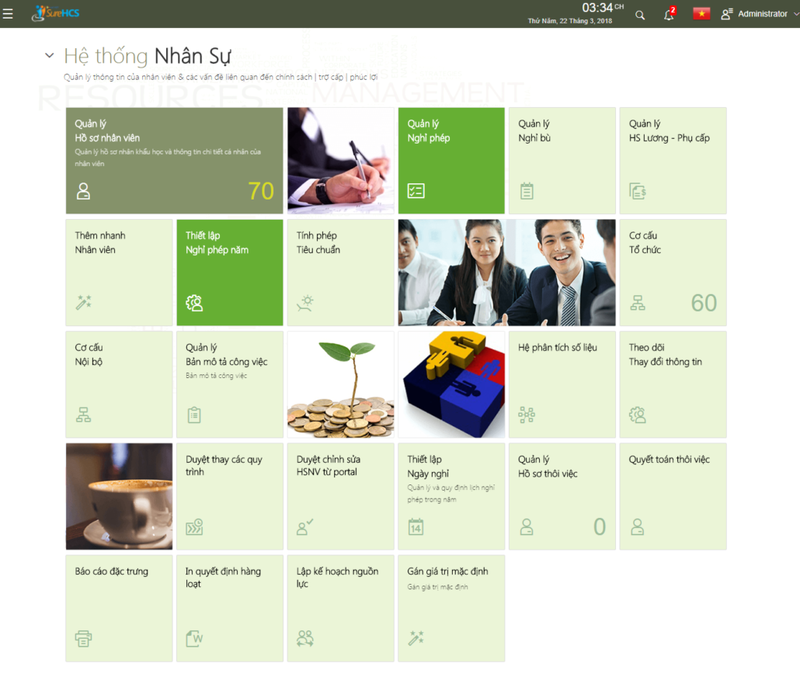 Automatically create a temporary deduction of monthly income tax and accurate annual income tax returns from details to sum up to Vietnamese and foreign individuals with the custom setting of each income involved in paying taxes. The tax declaration is customized for each type of labor, and a flexible set of taxes is paid by the employee or company for each employee's earnings. Support the establishment of salary cost accounting in accordance with the principle of cost accounting, compilation of salary costs, salary voucher creation after each pay period and transfer to accounting software quickly and easily. Strong support for cost control, establishing each type of fund in the Wage Fund helps enterprises effectively plan, actively allocate reasonable salary funds. Diversified reporting system, customization of the statutory policies to help enterprises comply with the correct policies from time to time.